GRP with offices in Northallerton, Bishop Auckland, Leeds, Harrogate and Cumbria, offers independent asbestos surveys throughout the UK. 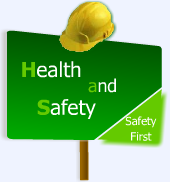 They are carried out by our fully trained surveyors holding professionally recognised BOHS P402 qualifications. The Control of Asbestos Regulations (CAR) 2012 contains a duty to manage asbestos in non-domestic premises. The HSE states that those responsible for maintenance and repair of non-domestic premises must consider whether there is any asbestos in the building and, depending on its condition, either remove it or manage it. The client will receive a full report after the survey has been completed, which includes an asbestos register covering all the areas surveyed, and specific reports with recommendations. This makes it easy for the person(s) responsible for the health and safety of the premises to comply with their legal requirements. Its purpose is to locate, as far as reasonably practicable, the presence and extent of any suspect ACMs in the building which could be damaged or disturbed during normal occupancy, including foreseeable maintenance and installation, and to assess their condition. Representative samples are collected and analysed for the presence of asbestos. Samples from each type of suspect ACM found are collected and analysed. If the material sampled is found to contain asbestos, other similar materials used in comparable places and ways in the building can be strongly presumed to contain asbestos. Less comparable materials may require further samples to be taken. This is needed before any refurbishment or demolition work is carried out. This type of survey is used to locate and describe, as far as reasonably practicable, all ACMs in the area where the refurbishment work will take place or in the whole building if demolition is planned. The survey will be fully intrusive and involve destructive inspection, to gain access to all areas, including those that may be difficult to reach. This can be carried out where a suspect material has been found and you wish to find out if asbestos is present. Please contact us at estimating@grp-asbestos.co.uk or call 01609 781188 for any more information. This service includes for bulk sampling and report, payable on completion.